A team at MIT has made a fascinating discovery: a new coating that makes natural fabrics like cotton and silk water-repellant. If that wasn’t enough, it is also even more effective than the coatings used currently. 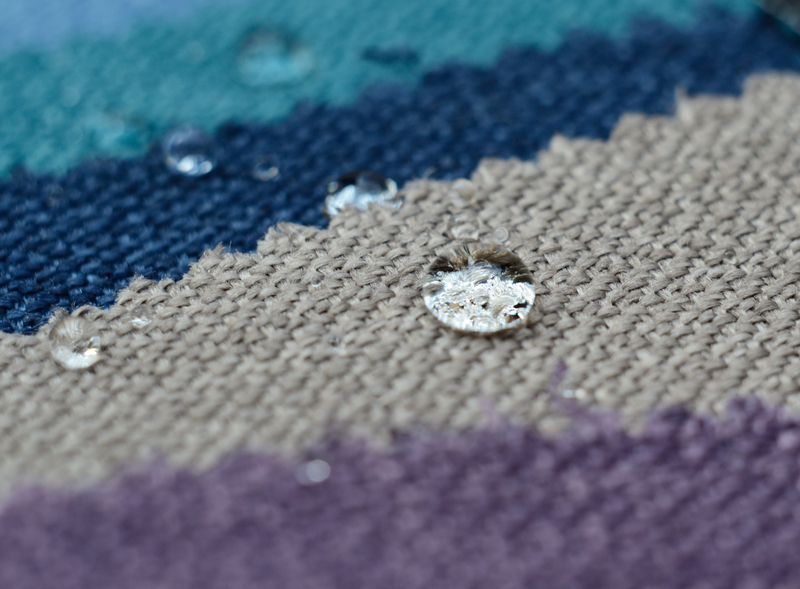 Most fabrics that claim to be water-repellant are really only water-resistant. So, if you stand outside in the rain for a long period of time, the water will start to absorb and seep through. To be repellent would mean that the rain would bounce off the coat and not get absorbed. This new finding at MIT provides a coating that comes the closest to being water-repellent. What’s Wrong With the Old Coatings? In general, the coatings that are used to make fabrics water-repellant are made of up of “long polymers with perfluorinated side-chains.” Studies have shown that shorter-chain polymers are not as effective in repelling water as the longer-chain versions are. However, they are bad for the environment and our bodies, since they do not degrade easily and can accumulate in our body tissue. Another issue with the current coatings that are used: they are liquid-based. This means that the fabric is dipped in liquid and then left out to dry. As a result, the pores in the fabric tend to get clogged, inhibiting them from breathing normally. To fix this, air is blown through the fabric to reopen the pores. This not only adds to the manufacturing cost but also reverses some of the water protection. How Was the New Coating Created? The polymers that are most popular contain eight or more perfluorinated carbon groups. Research has shown that the polymers with less than eight were safer and less harmful to the environment. The MIT team decided to try combining the shorter-chain polymer with a different coating process called initiated chemical vapor deposition (iCVD). The iCVD coating process creates an extremely thin coating that adheres to the contours of the fibers and doesn’t cause the pores to be clogged. Unlike the old coating, it doesn’t require any liquids or an additional step to reopen pores. The optional next step, instead, is to sandblast the surface of the fabric, adding more water repellency. This process works on a variety of fabrics including cotton, nylon, and linen. It has even been tested to work on non-fabric material like paper. Multiple lab tests were done on the fabrics with the new coating, including a rain test, to much success. The team at MIT hopes to license the coating technology to current fabric and clothing companies, but first needs to continue optimizing the formula. They want to ensure that it will provide the best water-repellency possible.